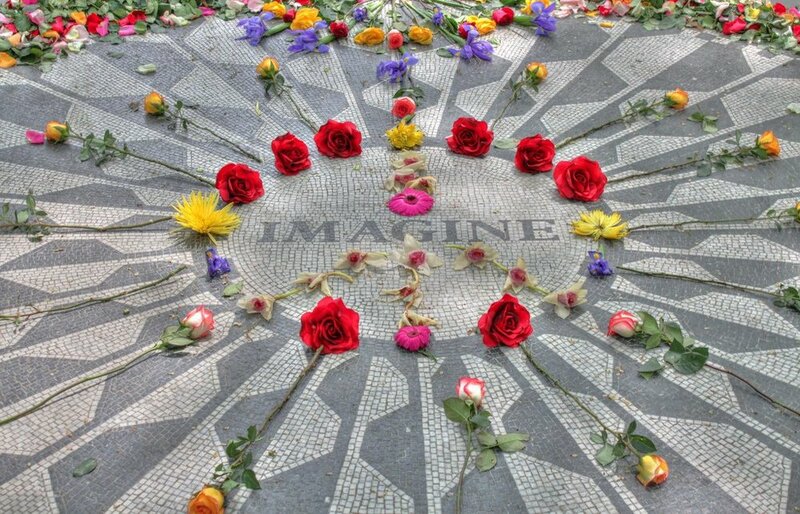 Located near Central Park West between 71st and 74th Streets (map), Strawberry Fields is a 2.5 acre area of Central Park that pays tribute to the late Beatle, John Lennon, singer, songwriter, musician and peace activist. Fashioned similarly to the original flowing design of the park, Strawberry Fields is lined with tall elm trees, shrubs, flowers and rocks. This area is designated as a quiet zone in Central Park. Strawberry Fields officially reopened on October 9, 1985, the 45th anniversary of John Lennon's birth. Annually, on this date, as well as on the anniversary of John Lennon's death, visitors and fans from all over the globe flock to Strawberry Fields to pay homage to this Beatles' legacy. Visit Strawberry Fields on a horse and carriage tour, bike tour, pedicab tour, or walking tour. The iconic black and white Imagine mosaic was designed by a team of artists from the Italian city of Naples. Named after another famous song by John Lennon, "Imagine" evokes a vision and hope for a world without strife, war and conflict. Additionally, there is a bronze plaque that lists the more than 120 countries that planted flowers and donated money for the maintenance of the area; they have also endorsed Strawberry Fields as a Garden of Peace. 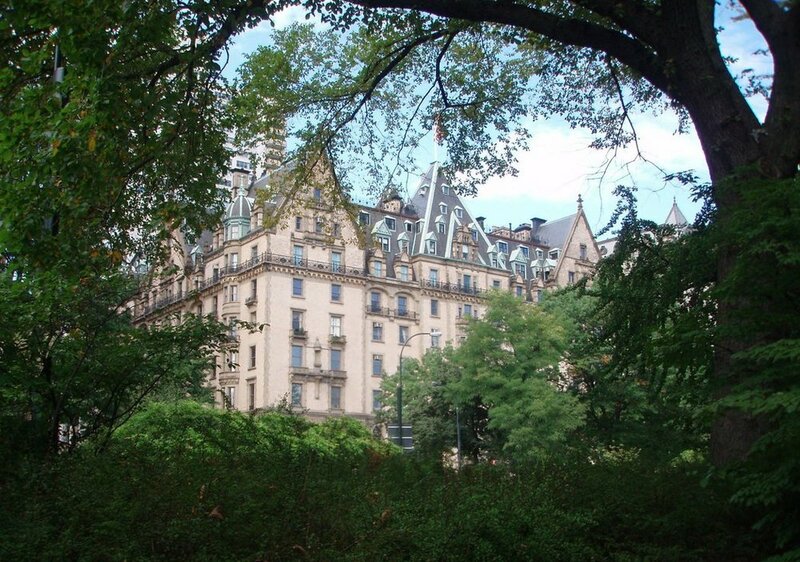 John Lennon and his wife Yoko Ono lived in the Dakota Apartments adjacently located to this area of the park. It was here, walking into his home, on December 8, 1980, that John Lennon was murdered and shot dead. 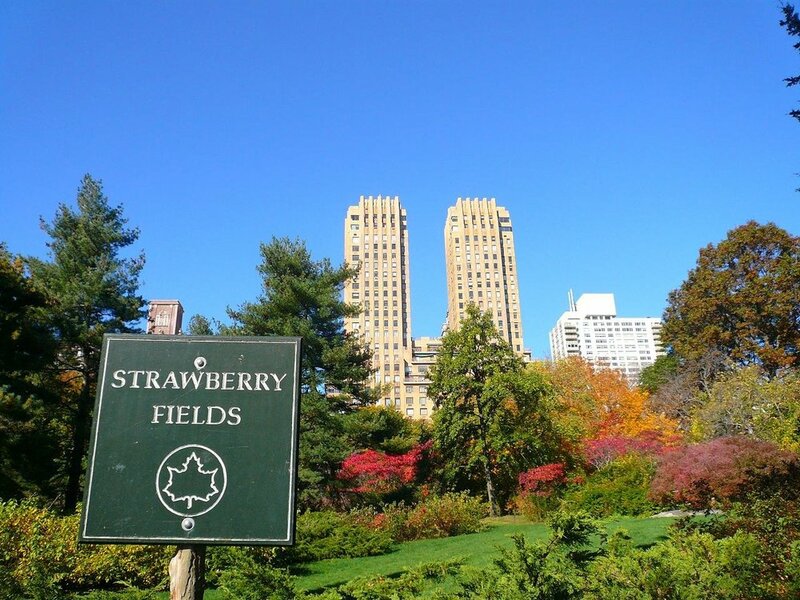 To commemorate his life, talents and memory, on March 26, 1981, City Council Member Henry J. Stern designated this area, the couple's favorite in Central Park, as Strawberry Fields. Named after the title of the Beatles' song "Strawberry Fields Forever," the teardrop shaped region was re-landscaped by the Central Park Conservancy with the help of landscape architect Bruce Kelley and a generous $1 million donation from Yoko Ono.